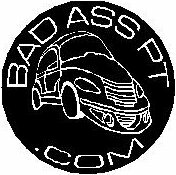 This is the actual sticker that is on the body of the PT Cruiser. I have it in the back triangular windows on each side. How else do I get web traffic?